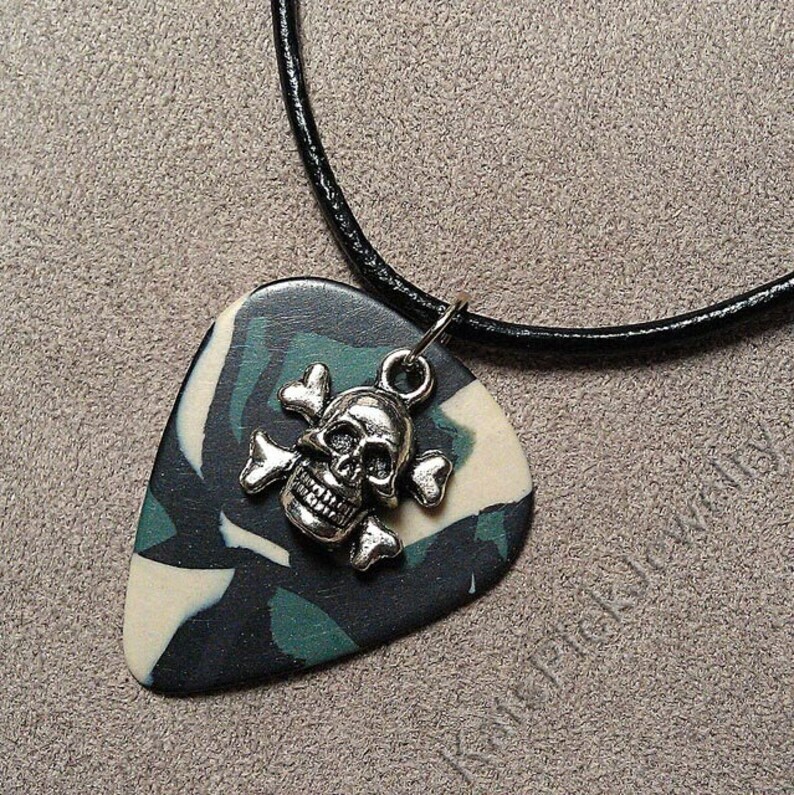 Nickel free charm on genuine guitar pick necklace. You can choose to order it as shown or any of the other colors shown (just leave me a note when ordering). Necklaces come on 18" leather cord with extender chain. If you would prefer a longer leather cord (22") or an 18" or 22" ball chain, please make note of your preference when you order.